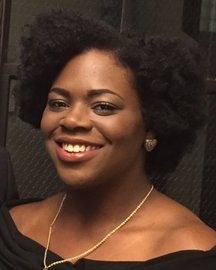 Ashley is a graduate of the Boston Conservatory with a degree in Voice Performance and has studied and taught a variety of techniques for vocal training. She has been teaching voice to adults, teenagers, and younger children since 2011. She is comfortable teaching voice in many genres from Classical and jazz to gospel, blues, musical theater, pop, and children's songs. Ashley is more than willing to tailor the lessons to a student's interests and ability level, including beginners of all levels. "Having an instructor who cares for you as a person is important. I am a proactive, patient, motivated, and empathetic teacher. Guiding students towards their goals is as fulfilling as performing---it creates connections with individuals who share a common interest. I promise to offer fun, patience, and loyalty to my students." Call 617-277-3438 now (or email info@jpmc.us) to schedule a voice lesson with Ashley! No registration fees.